Hi guys! I can’t believe we are already at the end of March and are nearly taking a (mini) break for Easter – the year is just flying by! It feels like only yesterday that I was thinking up this challenge and now I’m already sharing my results with you! All the same, I had quite a bit of fun over the weekend playing around with our dining table and discovering a new appreciation for our dining area. 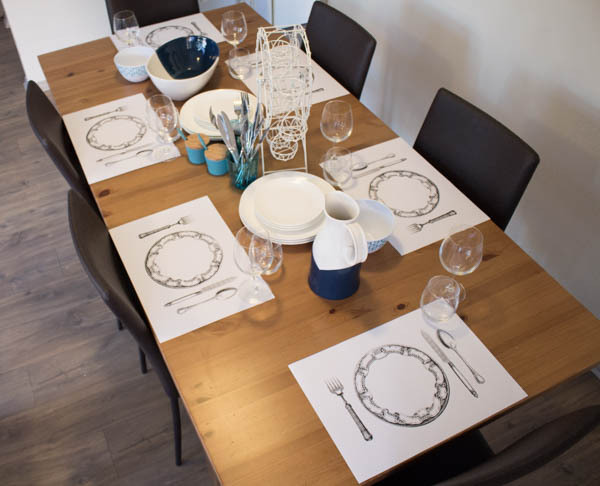 Sometime last week when I was planning everything out, I made a decision to complete all the table settings with no flowers – this was great as it also encouraged me to be a little more creative with what I chose to decorate the table with. 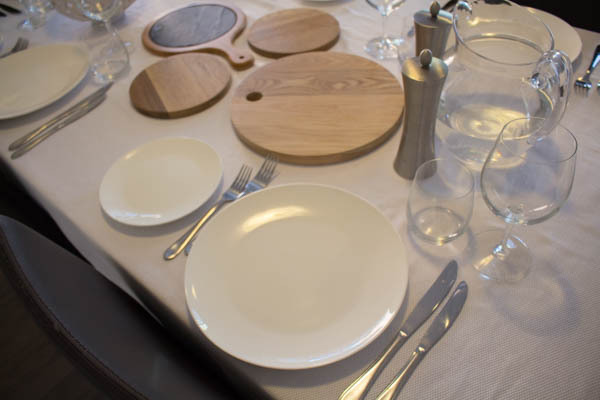 Aside from the classic rules, like side-plates to the left and cutlery works it’s way from the outside, in there are a couple of other guides I like to go by when setting the table. 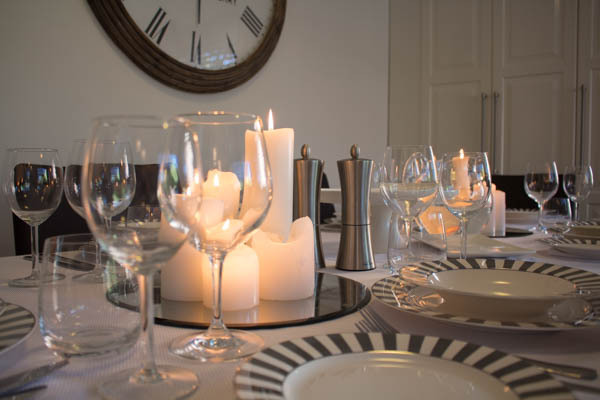 Firstly I think it’s really important to keep your table decorations relatively low, so everyone can see each other without looking around a tall candle stick or bouquets. I also like to use layers to give the table more depth and practicality. Formal – For a more formal look, keeping things timeless and classic will always be a winner. That’s not to say you can’t use fabulous dinnerware, but it is to say that dinnerware should be cohesive. For a formal look, I personally love using a monochrome colour palette and sticking to the classics. 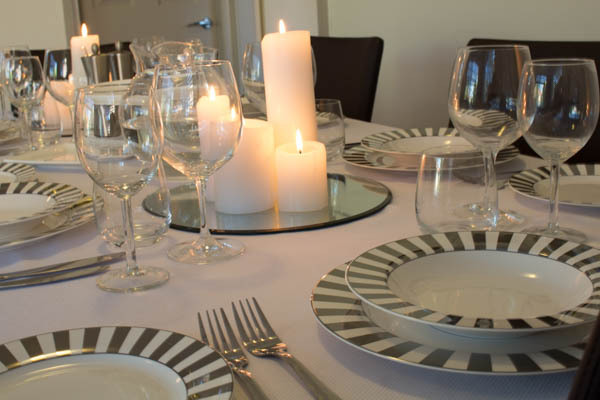 Below I’ve used a silver and white stripe dinner service as my feature and have allowed the platters to take a step back by using plain white options. 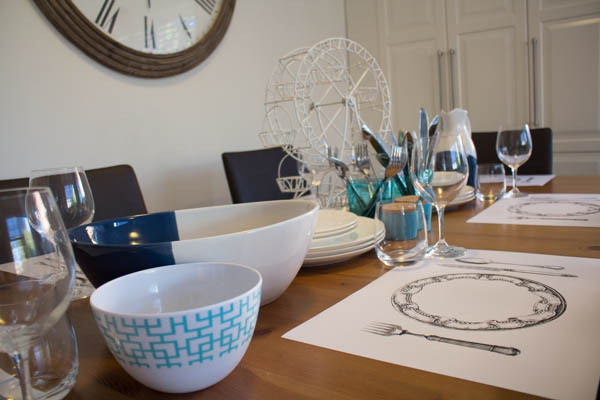 As I mentioned above, I love using layers and by utilising stands or cake plates there can be more space on the table for other items. Candles are also always a winner for formal settings and paired with mirror trays, candle light is doubled and creates a beautiful soft ambience. Semi-formal – With semi-formal settings you can be a little more relaxed with the way things are set out. For this look, I like to apply the same classic principals but then give them a casual twist by using timber boards for platters and slightly less formal dinnerware. 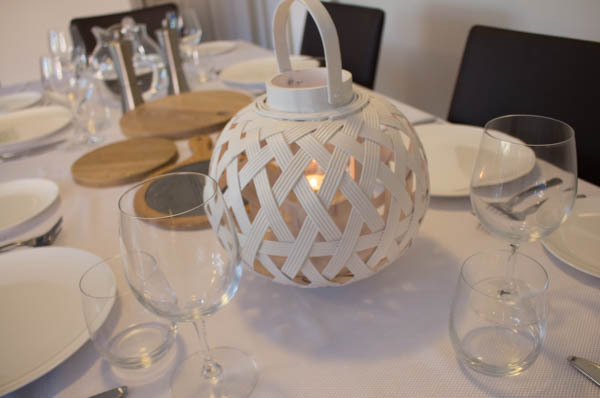 Candles are still a beautiful edition, but rather than using classic pillar candles, this type of setting is also a good opportunity to bring out interesting lanterns or candle holders. 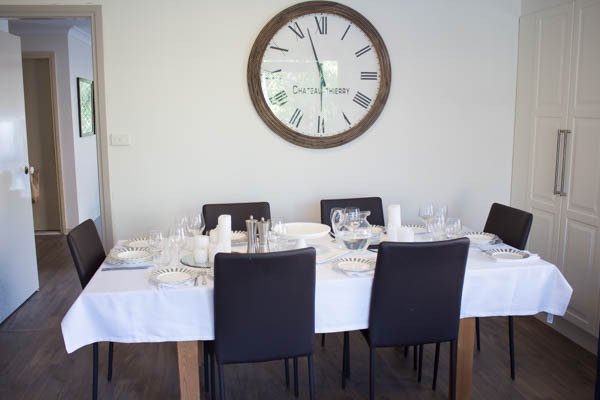 Casual – With casual settings, the world is your oyster and this type of setting is great for birthday lunches with the whole family or when a bunch of friends pop around. 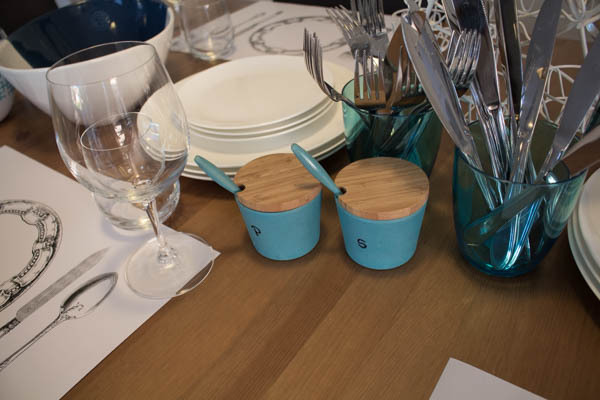 Quickly throwing cutlery into fun vessels, using some placemats that are a talking point (or entertainment for little ones) and utilising an architectural element as décor are all great ways to give your table personality and create a fun atmosphere. I love using colour & pattern for this type of setting and adding a little more décor around the dining room will always add to the space’s ambience!